Home»Eighth Reveal: Environments of the Multiverse! Eighth Reveal: Environments of the Multiverse! On twitter, I asked my last trivia question of the day: "Which three cards from the Time Cataclysm environment deck are NOT related to any other environment?" Right away, I got the answer I was looking for from Richard Gillingham. "Typhoon, Rift in time Fixed Point"
Well done, everyone. You've answered all of my questions, and each of them in no more than 2 minutes. Impressive. Most impressive. So, it's time to talk about the environments from Villains of the Multiverse! The home of the dreaded Blood Countess, the Court of Blood is a lair of creatures thought to be mythical: vampires. They thirst for blood and feed on the living. You may have heard of them. Fanatic's pilgrimages have brought her to far-reaches of the world, and in one such location, she encountered the Court of Blood. It did not go terribly well for her. She has traveled there more than once, each time hoping to eradicate the evil beings within, and each time being rebuffed. No mortal nor angel nor hero could hope to stand against the might of the court. And yet, many still try. Fools. 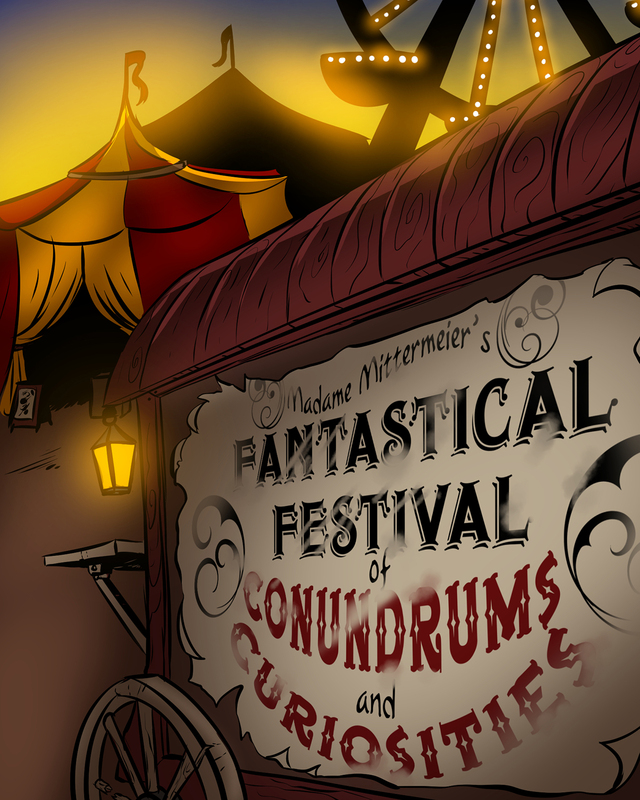 You'd never heard of Madame Mittermeier’s Fantastical Festival of Conundrums & Curiosities before. You were driving into town in the morning, as usual, when you noticed that the abandoned lot just outside city limits wasn't abandoned anymore. In fact, there was a carnival set up there. There wasn't a carnival there yesterday, right? You don't remember seeing it on your drive home last night. And there's nothing in the papers about it. Odd. Well, seems like it might be worth visiting. All day at work, you can't get the thought of that dilapidated wagon with its well-worn sign. Who is Madame Mittermeier? You haven't been to a carnival since you were just a kid. You struggle to focus on your work, but in the back of your mind, you know you're going to stop at the carnival on the way home from work. You leave the office on time, pretending to not even be thinking of the carnival. Yet, as you drive by it, you feel yourself clicking on the turn signal to pull into the empty parking lot. What harm could an hour at the carnival do? You didn't have any real plans tonight, anyway. You make your way into the big red and yellow tent. And then, you're never heard from again. Deep underground near the core of the earth, Magmaria, the City of the Magmen, has never been seen by the eyes of surface-dwellers. The seemingly mindless magmen toil without ceasing there. 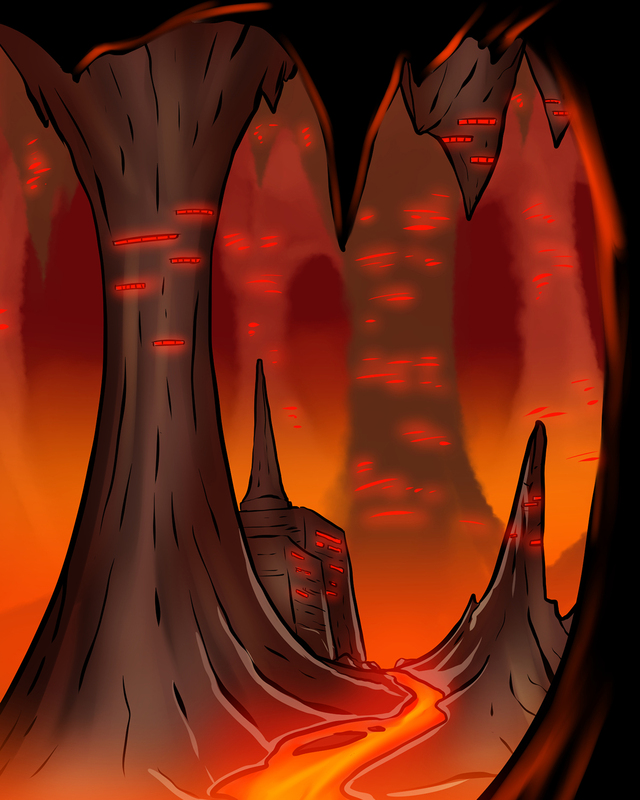 They build their cities of molten rock and crystalline structures, only to have them destroyed by seismic activity. They build and rebuild endlessly, driven by the pressure of the earth to maintain as many of their structures as possible, lest they be crushed by their very homes. If you were to journey to Magmaria, you would surely perish. Between the heat, the pressure, and the magmen who are immediately hostile to anything unknown, it is not a safe place for a surface-dweller. And yet, there are many riches and resources to be had in such deep places. Such a visit might be worth your while... would you dare risk it? 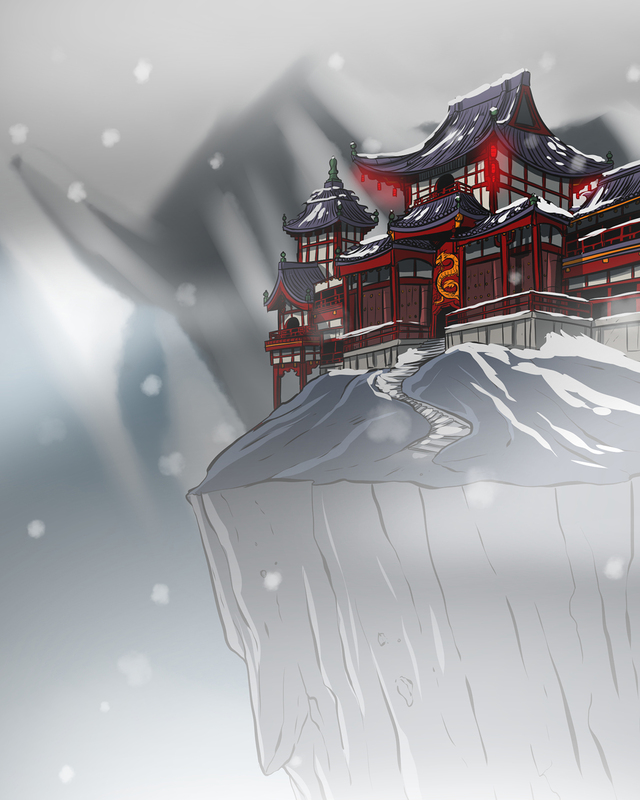 Hidden amongst the peaks of the Himalayas, the Temple of Zhu Long is a place of many eldritch secrets. The mystic Zhu Long keeps his magics hidden from the world there, protected by his scores of apprentices, wards, and assassins. Many find themselves in life-debt to Zhu Long, and it is a steep debt indeed. But what price could be a fair one for cheating death itself? Surrounded by unfavorable conditions, Zhu Long has found a spot which harnesses the harshest of ley-lines in order to perform his rituals. You would be wise to never visit the Temple of Zhu Long. However, sometimes, there is no other way. The ancient purveyor of life and death holds the keys to certain doors which should remain closed. And with that, we conclude this day. The day of many tweets and many stories. So many characters and environments. Villains of the Multiverse brings a lot to the table. See you tomorrow, for more exciting news! Nice! I was just thinking today that I would like more than 2 environments in an expansion, and here you are fulfilling that request before I even got to voice it! These pretty much all look fantastic. "You feel yourself clicking on the turn signal"
Clear sign that someone is being mind controlled! They actually USE their turn signal!!! Vampires, Fanatic, multiple trips. I did a happy dance, I'm so rarely correct in speculation. This is also great because these fill in some holes. The only one I can't immediately connect is Madame Mittermeier’s Fantastical Festival of Conundrums & Curiosities. Though, we do now have the setting where the Ape is on Tachyon's lightning reflexes, and if the ape is connected perhaps a few other nightmares from the Dreamer are represented somehow. Also I'm betting the red cat from Miss Information makes its home withi the Festival. The Temple of Zhu Long is stunning. That's one of the best pieces of art I've ever seen. Bravo! "We were just going to have two, but this is really successful, so have two more" Also, I though fixed point was based off of the realm of discord. The backround made me thing of it, the effects of the card made me think of it, and so on. Tendrils of Madness is the Realms of Discord card. Look at the shape and colour of the HP in the corner. Elizabeth Bathory is one of my favourite historial figures, and she's being casually mentioned in my favourite card game? Sure, it could be just another Blood Countess. but I'd like to believe that everything I love will suddenly converge like this. 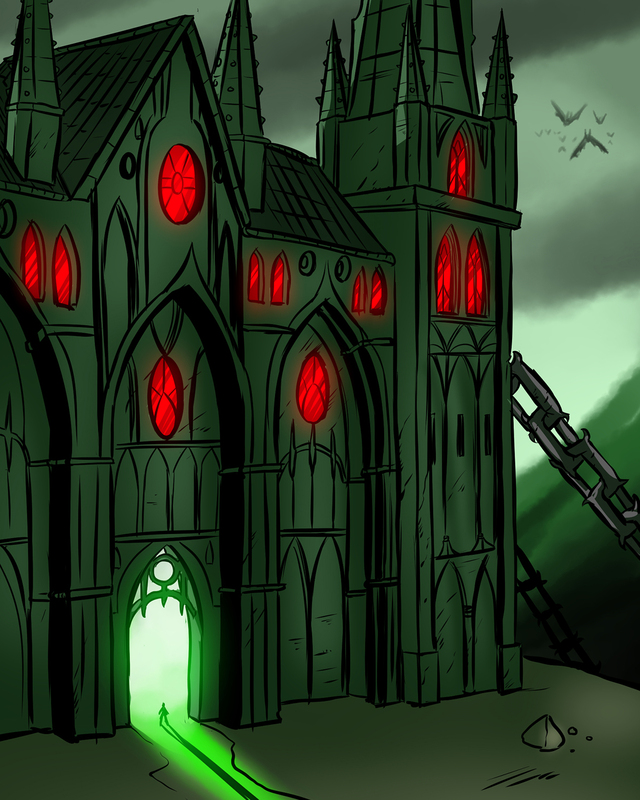 All of thesse environments sound pretty swell, with Madame Mittermeir's and Bathory's Court being stand-outs among stand-outs.